As a vampire, Anna Strong has an immortal life…but now she’s running out of time. Life is finally starting to look up for Anna Strong. She's defeated the competition and stopped the vamp council from going against her choice as the chosen one to preserve humanity. Now she's carving out a somewhat normal life for herself with Frey and his son. But that happiness comes to an abrupt halt when she learns of her mother's ailing health and a split faction of vampires in Europe. Once again she's torn between her old life and her role as the chosen one. 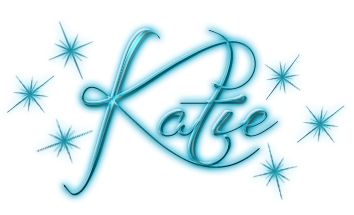 As she learns to balance both lives, Anna comes to find what really matters in life and love. 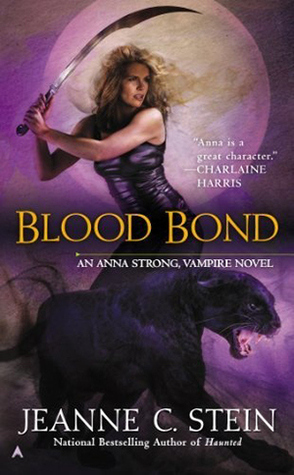 BLOOD BOND had a very different feel to it than the rest of the series, in that it read more like a very long epilogue than an actual action packed installment. Sure there was some bits of conflict and action, but only in small doses that were largely eclipsed by the emotional aspects. But, even though it caught me off guard, and I kept waiting for the action to really start, I realize that this book was everything it needed to be. Over the previous eight books, Anna struggled with her loss of humanity and life as a vampire. This would have been difficult enough for a normal transition, but when you add in her chosen one status, she really had a lot on her plate. So, that is why I felt the emotional aspects of this book, and the way it more focused on her human side were both very important. After such a long running series it was very enjoyable to get to spend a good bit of time seeing the ending results rather than the typical short last chapter of resolution. Along those lines of longer happiness and resolution, I have to admit that when I read the blurb for this book I wanted to let out an excited squeal. From the very start of this series, I had wanted Anna and Frey to be together. There is just something about the two of them that you knew they eventually had to circle back to one another despite all the many roadblocks in their path. There are some romances that are hot and steamy, and then there are some that are very sweet and soul reaching, and I have to say that I think these two fall in the latter. Don't get me wrong they were pretty hot together, but I just got the impression of forever when I thought of them. They just fit so well and complemented one another perfectly, the kind of happiness that everyone searches for, and Jeanne portrayed it very well. It's always hard to say goodbye to a much loved series, which is why I go into reading these books with a bit of trepidation. There always is that worry that things won't end up like you had hoped or that there will be loose ends left untied. I'm happy to say that isn't the case here, as BLOOD BOND ended things in a way that left me completely contented. Sure, there is room for more in the future, but if not, I still would be happy with the end result. Fans of the series will be more than pleased with this conclusion. It, and the rest of the previous installments have earned a solid place on my keeper shelf.